I’ve been sucked into Pinterest again. And now I’m drooling. In case you’re looking for some new recipe ideas to try this weekend, here are the ones that are on my radar this week! Sesame (Kelp!) Noodles, from Elana’s Pantry. Paleo-friendly, grain-free kelp noodles dressed with an almond butter sauce! 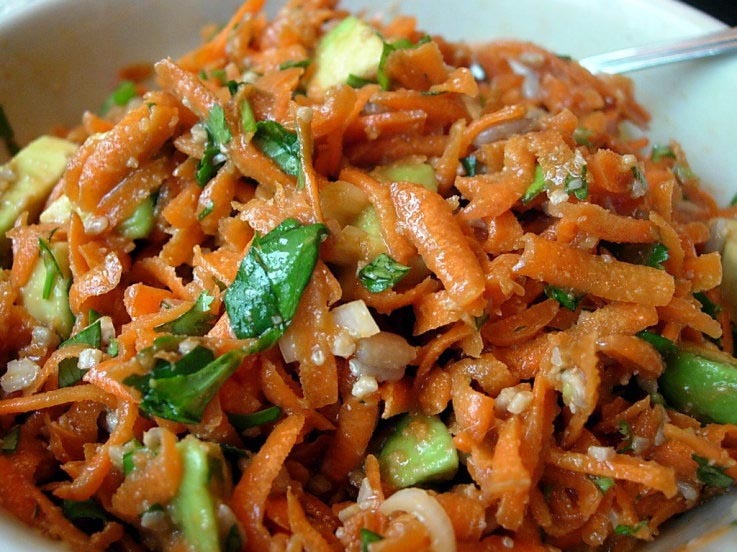 Asian Carrot Avocado Salad, from Julie Morris. A refreshing, fun salad idea! Almond Flour Zucchini Bread, from Against All Grain. 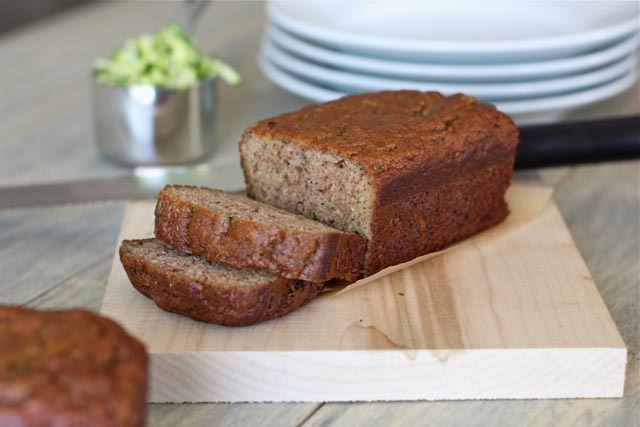 This is my kinda recipe–> made with almond flour, honey, bananas and zucchini! 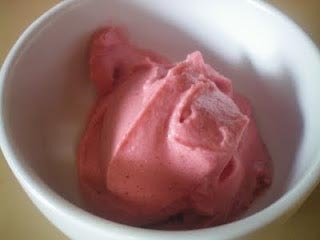 Strawberry Ice Cream, from I Breathe… I’m Hungry. Love that this recipe has no dairy and no added sugar– a tasty variation on banana soft serve. Reader Feedback: What’s on YOUR recipe radar this week? 18 month old son especially loved it and finished the last piece at dinner! Elsna’s Pantry also has a banana bread recipe that is a staple in our house. We love all of her almond flour recipes. Have you ever tried the brand Living Intentions sprouted almond flour? We use a combo of that and Bob’s Red Mill blanched almond flour. 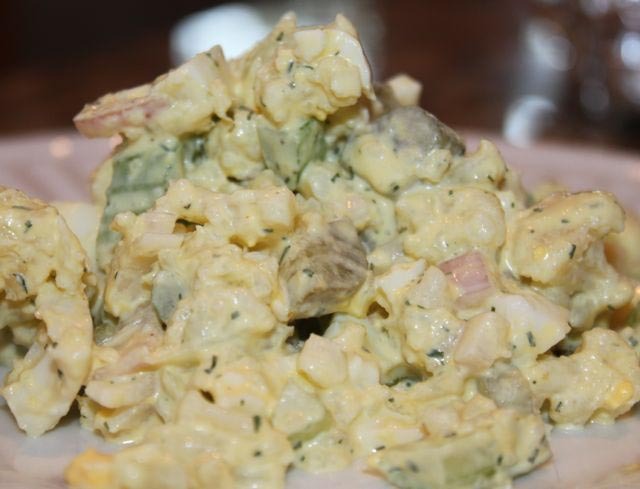 I also have made the potato salad from Everyday Paleo and it is also great. I use Greek yogurt instead of mayo or do equal parts veganaise/ yogurt. I’ve never tried that brand of almond flour! I’ve been grinding my own lately, to save some money. 😉 And yes, I love all of Elana’s recipes! That almond flour zucchini bread looks great! I’d like to know how it turns out with flax eggs to keep it properly combined.. If you try it out please let us know! I love Pinterest! And kelp noodles are awesome. There’s another kind of low cal, high fiber noodle, that I really like… I think they are called miracle noodles. Very cool. Great recipes! 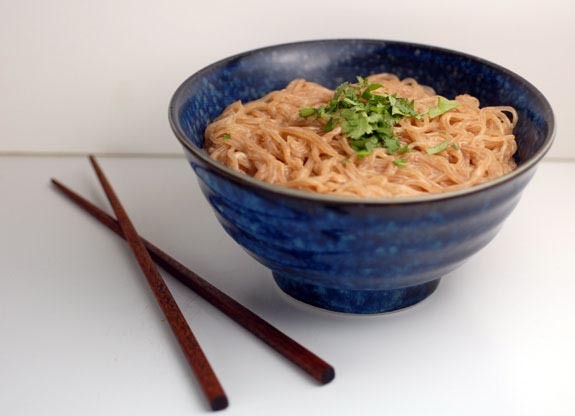 I heart kelp noodles, so got to check out that sauce recipe for them! YUM! I love paleo recipes 😀 I definitely lean towards a more paleo diet, but am not full paleo. Love experimenting, though!